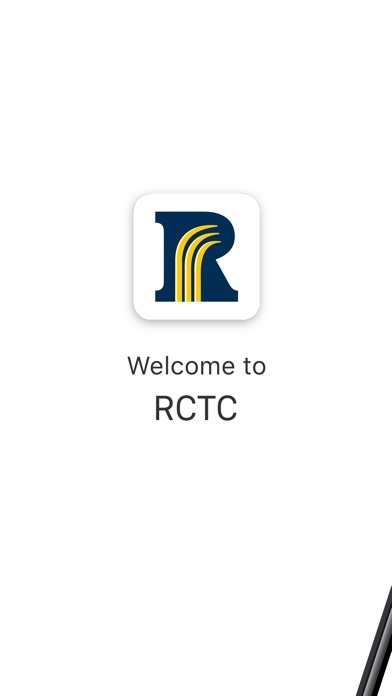 The Rochester Community and Technical College app brings services to your fingertips and enables you to connect with classmates and friends. 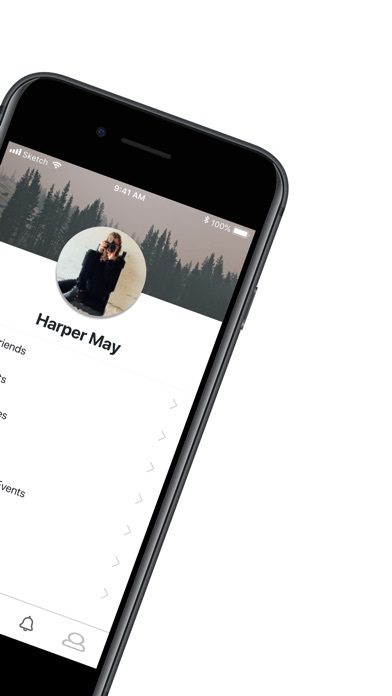 Access events, calendars, contacts, maps and more! Stay organized with the timetable function, where you can save events, classes and assignments. 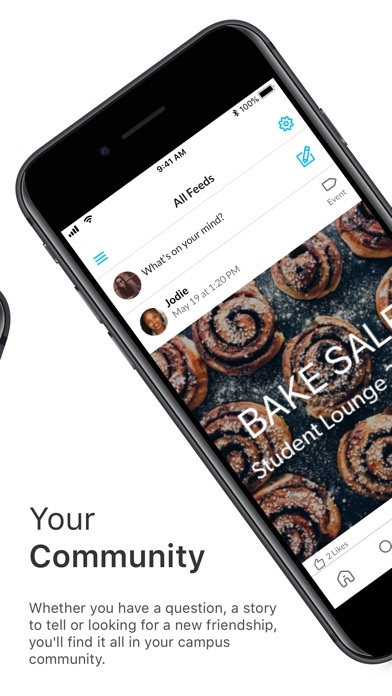 Features that help with student life: + Classes: Manage classes, create to-dos & reminders, and stay on top of assignments. + Study Tools: Keep track of study sessions and build effective study habits with our study timer. + Timetable Sharing: See when friends are in class and free. + Events: Find what events are happening on campus. + Tour: Explore the campus. + Deals: Access exclusive discounts. 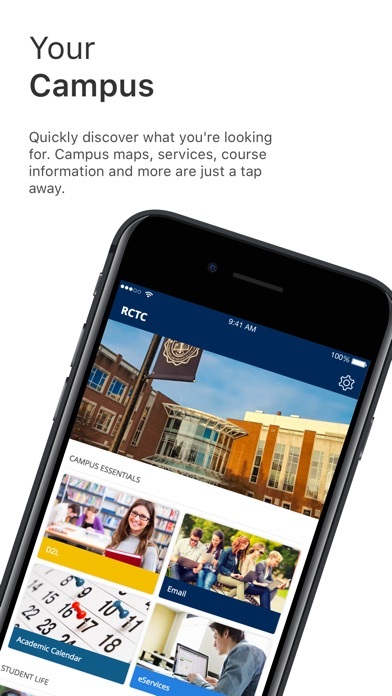 + Campus Services: Learn about services offered. + Groups & Clubs: How to get involved with campus clubs. 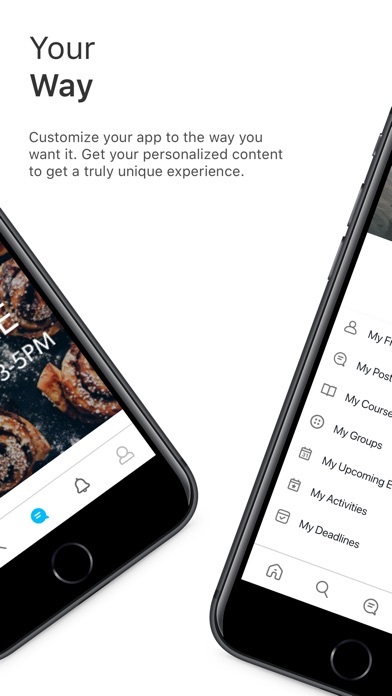 + Campus Feed: Join the campus discussion. + Campus Map: Directions to classes, events and offices. + Students List: Communicate with fellow students.